This easy-to-use, high-performance turntable lets you stream your favorite records to any audio system with a Bluetooth receiver, including wireless headphones. Cambridge Audio is celebrating its 50th anniversary in style. 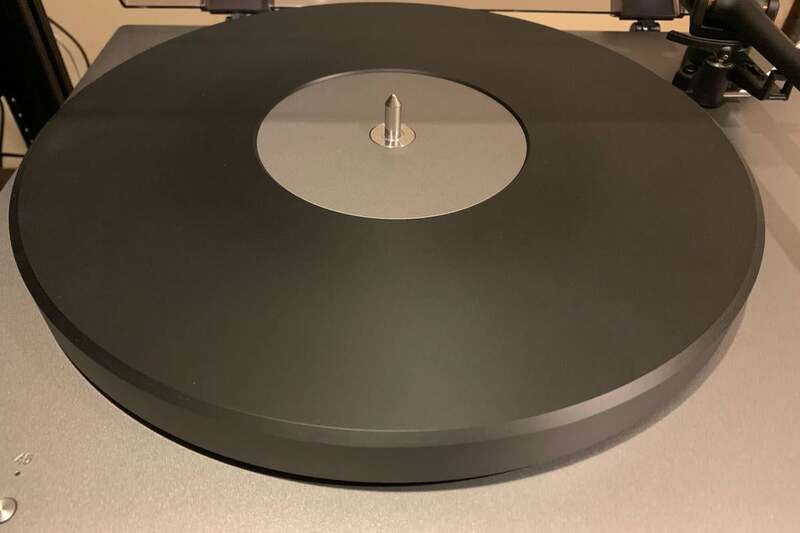 The British company, known for delivering high value in high-end audio, has released a slate of new products promising that “great British sound.” Perhaps none is more appealing than Cambridge Audio’s new Alva TT turntable. The Alva TT—named for the inventor of the record player, Thomas Alva Edison—is an ideal bridge between the analog and digital audio worlds. This is a finely crafted turntable with an audiophile pedigree that can also stream your favorite vinyl records to any wireless audio system that supports Bluetooth. It’s an audio component that will please everyone from the vinyl purist to the hipster. The Alva TT is beautifully designed, with a tapered bottom, charcoal gray and silver finish, and a smoked dust cover that allows it to blend into any decor as a statement piece. 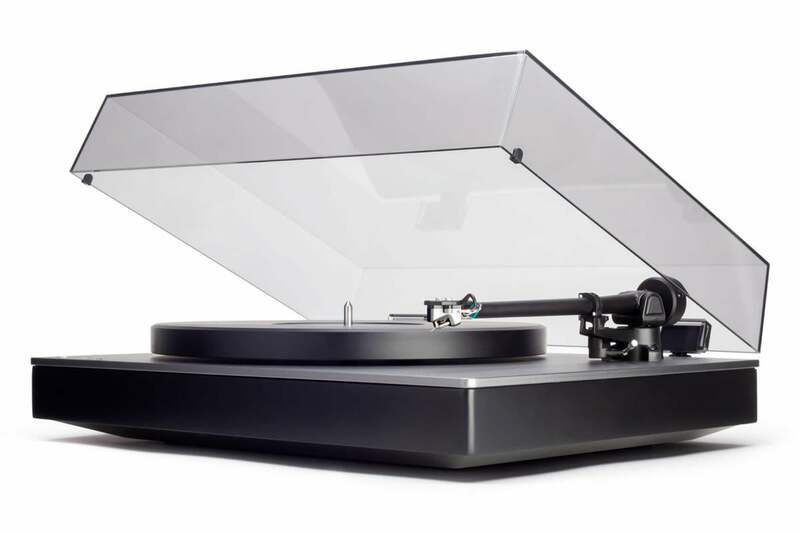 Setting up a high-end turntable can be daunting, but that’s not the case here. Cambridge Audio says it focused on making high-performance vinyl playback accessible to all, and the company has succeeded in spades. The Alva TT is really three products in one: A high-end, direct drive turntable; a moving coil (MC) and moving magnet (MM) phono preamp; and a high-res Bluetooth music streamer that supports Qualcomm’s aptX HD codec. The Alva TT’s base is machined from a solid block of MDF (medium density fiberboard). MDF is often used in speaker cabinets because of its density, sturdiness, and ability to deaden vibrations. The top of the turntable’s base sports a 6mm sheet of painted machined aluminum. The Cambridge Audio logo and logotype are beautifully stamped in the lower right corner. 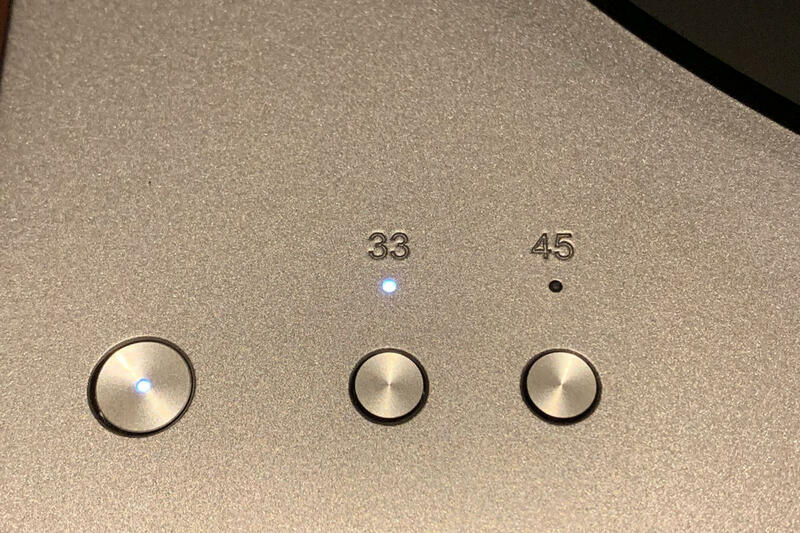 The Cambridge Audio logo and logotype are stamped on the turntable’s base. The Alva TT comes standard with a Polyoxymethelyne (POM) platter. 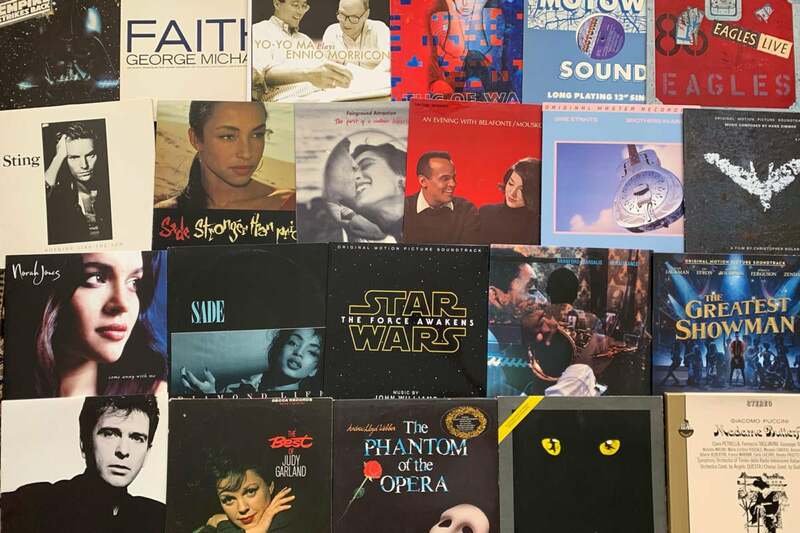 The platter is the platform that vinyl records spin on, and its composition has a significant sonic impact on vinyl playback. Stiffer and more uniform materials improve bass, sound stage, and dynamics. Cambridge Audio says that POM is a high-tech engineering thermoplastic used in precision parts that require high stiffness and dimensional stability. The platter is almost exactly the size of a standard LP, but the edges of the platter are beveled so you can lift off a record with ease. The Alva TT’s platter has a beveled edge. A representative from Cambridge Audio told me that the tonearm is a tapered, one-piece cast-aluminum tube, with no joins between the headshell and pivot. This design offers extremely low friction while tracking, allowing the cartridge to retrieve the maximum amount of detail. 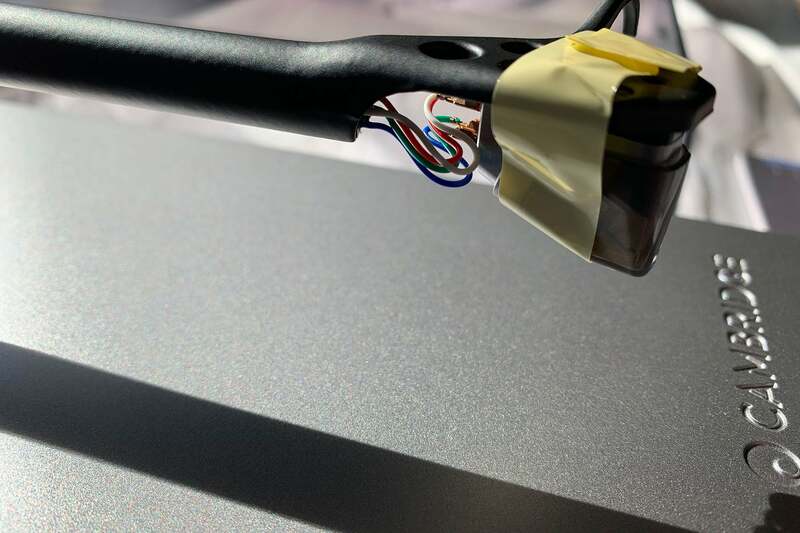 The cartridge itself is an exposed cantilever design, which cuts down on unwanted resonance and vibration that can be the downside of enclosed designs. A direct-drive motor precisely mounted to the turntable’s aluminum top plate is at the heart of the Alva TT. If you’re not familiar with turntable design, direct-drive models generally offer faster start and stop times, more consistent speed, and excellent torque compared with belt-drive models. This means you can simply power up the Alva TT and start spinning your music, without waiting for the platter to get up to speed, as you would with a belt-drive turntable. You also won’t need to worry about attaching a belt to the turntable motor, changing the belt position if you need to go between 33 1/3- and 45 rpm records, or replacing the belt when it inevitably wears out. Belt-drive turntables have their benefits, too, of course. One of the biggest is that the motor that the belt is attached to can be mounted to the side of the platter, where its vibration is less likely to be transferred to the platter, from the platter to your record, and—ultimately—to the stylus, where it will manifest itself as a low-level rumble in the background. To isolate the Alva TT’s platter from motor vibration, Cambridge Audio added foam dampening pads to the underside of the base. The heavy platter also helps in that effort. A small LED glows to inform you of the platter’s current rotational speed. The Alva TT’s outstanding performance is truly the sum of its parts: With the turntable’s MDF base, the weight of its POM platter, its medium torque direct-drive motor, and its precision one-piece tonearm design, Cambridge Audio has done an outstanding job of developing a virtually maintenance-free turntable. The company’s selection of high-grade materials enabled it also avoid the drawbacks associated with lesser-quality direct-drive turntables. The Alva TT comes with everything you need to get up and running right out of the box, including high-quality RCA cables. The Alva TT will not only get you up and running quickly, it’s also designed to demystify and simplify the electronics needed to listen to vinyl. The typical turntable requires a special type of preamplifier—known as a phono stage—to boost the signal output from its cartridge to a level that an amplifier, A/V receiver, or a set of self-powered speakers can work with. Cambridge Audio built a phono stage right into the Alva TT. What’s more, the Alva TT’s phono stage auto-senses whether you have a high-output moving coil (MC) cartridge or a moving magnet (MM) cartridge mounted to its tone arm (the turntable comes with the latter, but I’ll get deeper into that later). Should you prefer a different MC or MM cartridge (from third-party favorites such as Ortofon, Clearaudio, Sumiko, or Dynavector), you can simply plug it in without worrying about flipping any switches on the turntable. 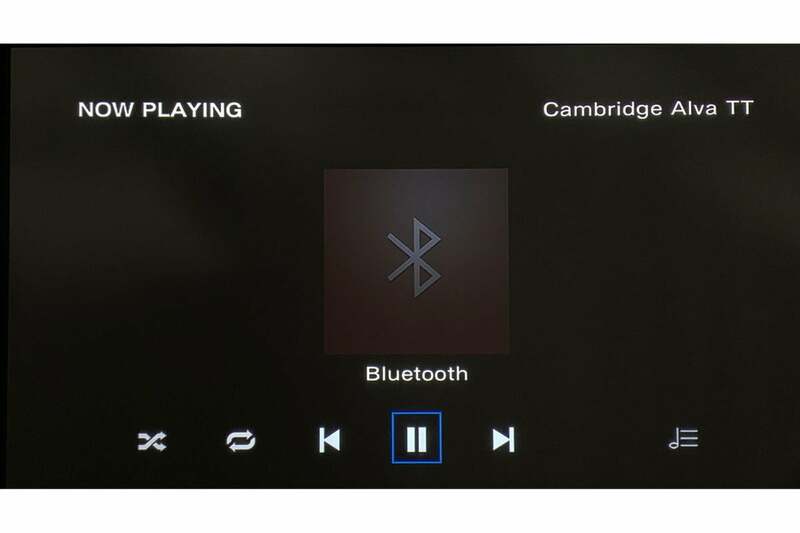 The Alva TT’s most unique feature could be its ability to stream music in high resolution via Bluetooth to any device that supports Qualcomm’s aptX HD codec (up to 24-bit/48kHz resolution). I’m not aware of another turntable on the market that is capable of this. If the device you’re streaming to doesn’t support aptX HD, the turntable will automatically negotiate the next highest-quality codec available. Pairing headphones, Bluetooth speakers, or a Bluetooth-capable stereo system is easy. Simply press the Bluetooth pairing button on the back of the Alva TT for approximately three seconds (until its LED begins to blink), put the receiving device into pairing mode, and voila! The two devices are paired. I successfully paired the Alva TT with Cambridge Audio’s Yoyo (L) Bluetooth speaker, as well as its Edge A integrated amplifier; Denon’s AVR-X8500H receiver; Bowers & Wilkins’ PX headphones; and Astell&Kern’s XB10 Bluetooth headphone amplifier during my review. A rear view of the Alva TT, showing its Bluetooth paring button. The blue LED on the Alva TT’s rear panel let’s you know if you are successfully paired with a device. A quick-flashing blue light lets you know the Alva is in pairing mode. Slow flashing lets you know it’s searching for the last paired device. Long solid-flashing intervals means you are connected to an aptX or aptX HD source, and a solid light means you are connected via Bluetooth to a non-aptX HD device. 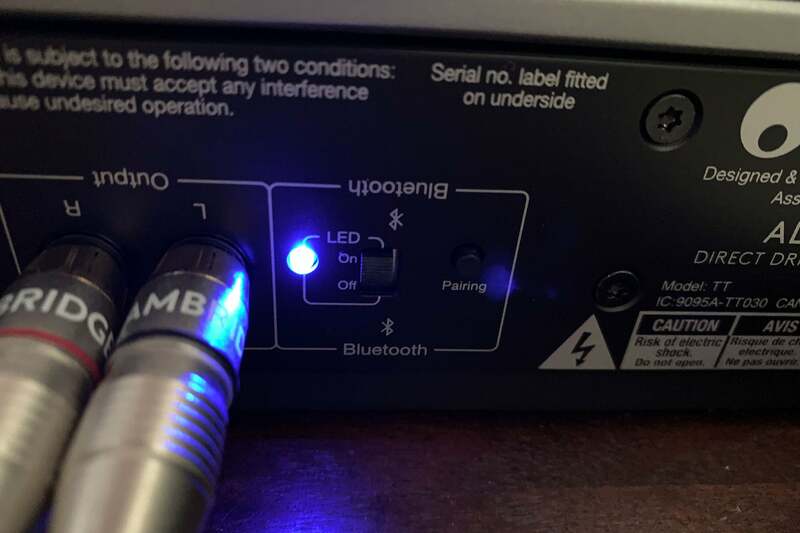 I found the light to be overly bright; thankfully, Cambridge Audio gives you the option to switch it off. If your living space is tight, you can put an Alva TT virtually anywhere in your room and stream music to your favorite speakers or headphones. You could also connect the Alva TT to your main sound system and establish a wireless connection to a secondary system or speaker. Many people will opt to listen to the Alva TT on wireless headphones, which is one of the ways I evaluated it. 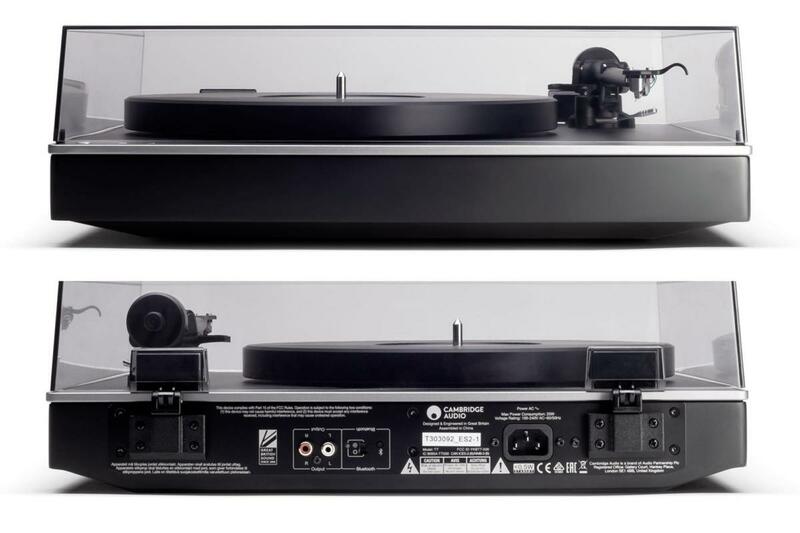 Front and rear view of the Cambridge Audio Alva TT turntable. It was such a cool sensation to spin vinyl to a wireless destination. Because the Bluetooth module is independent, you can spin up some vinyl on the Alva TT, pick up a pair of wireless headphones, and enjoy wireless vinyl bliss without ever needing to power up your main system or speakers. It’s a perfect solution for late-night bliss when you don’t want to disturb the rest of the household. Needless to say, the Alva TT’s Bluetooth over aptX HD sounded very good through the headphones I tried. Bluetooth range worked as advertised. I got approximately 33 feet or so of wireless freedom with no drops or hiccups. Once I got behind thick walls or beyond that distance, however, the signal started to suffer. As cool as the feature is, there are a few issues to be aware of. First, the conversion of the analog vinyl signal to digital, and the subsequent compression and transmission of the aptX HD- (or aptX-) encoded audio stream, introduces noticeable latency. Even though aptX and aptX HD are low-latency codecs, I noticed somewhere in the neighborhood of a 3/4-of-a second delay. Consequently, you can’t use the Bluetooth feature for multi-room vinyl streaming or you’ll hear an echo. I successfully paired the Alva TT with a wide variety of Bluetooth-enabled equipment. Here, the Alva TT is streaming vinyl over the air to a Denon AVR-X8500H receiver. Secondly, the user manual’s section on Bluetooth is just a few sentences, but it didn’t take me long to discover that the Alva TT can remember just one Bluetooth pairing at a time. With other Bluetooth devices I’ve reviewed, you can typically cycle between two, four, or even eight paired devices by pressing the Bluetooth button on the unit. Not here. Cambridge Audio confirmed that the Alva can pair with just one Bluetooth device at a time. If you want to change Bluetooth devices, you need to pair the new device from scratch. The fact that I can’t pair multiple devices with the Alva TT is a missed opportunity in my book. Cambridge should have provided for at least two or three different Bluetooth partners. There is also no companion mobile app with the Alva to manage your Bluetooth connections. Every time you want to switch from a Buetooth speaker to Bluetooth headphones, for example, you’ll need to re-pair the device in question all over again. I’m a firm believer in the unique, ritualistic experience turntables offer: Unpacking the album, admiring the artwork, reading the liner notes, placing the vinyl on the turntable, dusting the record off, and cueing it up. The Alva TT delivers the best of that experience while eliminating some of the tedious tasks a vinyl lover can do without. 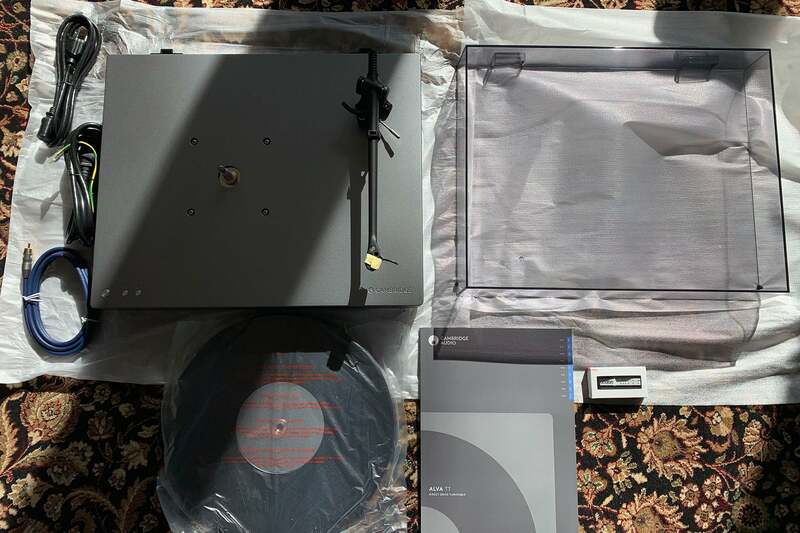 Even those who have never set up a turntable before will be up and running in mere minutes, as there are just two parts that the end user needs to install on the Alva TT: The platter and the dust cover. The Alva TT comes with a moving-coil cartridge pre-mounted, so it’s ready to play right out of the box (you can also switch cartridges if you have a favorite). Cambridge Audio pre-installs its own high-output MC cartridge to the Alva TT’s tonearm, so there are no wires to hook up and you don’t need to check the needle’s alignment. Should anything ever happen to the cartridge, Cambridge Audio offers this same cartridge for purchase ($499.99). The Alva comes with everything you need in the box. The most complicated setup task (and it isn’t complicated) is balancing the tonearm. To make the process simple and easy, Cambridge Audio includes a basic stylus pressure gauge from Ortofon. It’s fine to get you up and running in a jiffy, but I’d suggest investing in a higher-quality gauge, such as the Shure SFG-2 Stylus Force Gauge or one of the many digital meters available. If you are interested in diving deeper into turntable setup, Michael Fremer’s “Practical Guide to Turntable Set-up” DVD is a classic. 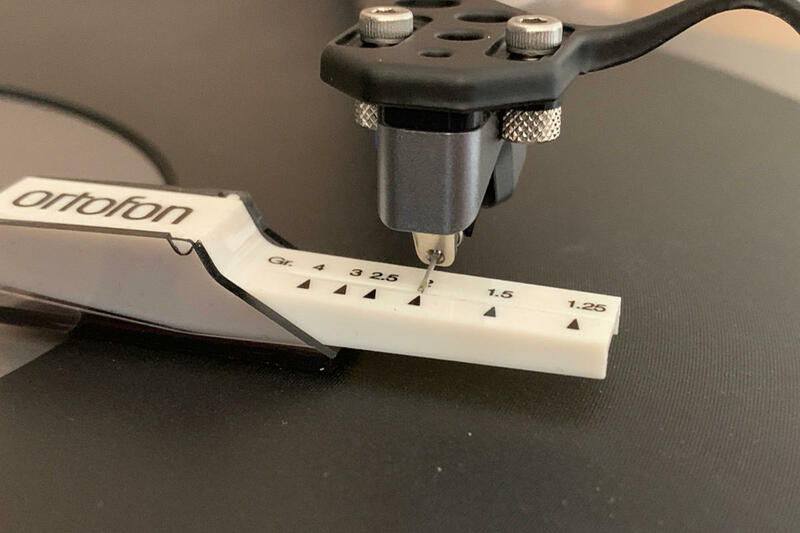 Measuring stylus force with the included Ortofon tracking-force gauge. I love what Cambridge Audio has done with the labels on the rear panel. The labels are readable if you are looking straight on or (as many typically do) looking upside down from the top. This made connecting cables to the right outputs a piece of cake. Cambridge Audio was gracious enough to send along the company’s gorgeous new Edge A integrated amplifier for me to pair with the Alva TT. The Edge A is one of the other pieces Cambridge has launched for its 50th anniversary celebration. I paired the amp with a set RBH Sound’s astounding SVTR Tower Reference speakers. I used Cambridge Audio’s supplied interconnects and Kimber Cable 8TC speaker cables. The electronics were connected to a Bryston BIT20 power conditioner. For Bluetooth testing, I tested the Alva with apX HD compatible gear: A pair of Bowers & Wilkins PX headphones and an Astell&Kern AK XB10 Bluetooth headphone amp connected to Focal Clear and Bowers & Wilkins P9 Signature wired headphones. The Alva TT is nothing short of a great turntable, distinguishing itself as a consistently warm and smooth performer with good detail and resolution. If there’s a downside, there were times where I longed for a bit more “oomph” out of the Alva TT’s bottom end. I played a number of LPs from my personal collection on the Alva TT. This high-performance, easy-to-use turntable will let you experience vinyl in all its glory with or without wires, thanks in part to Bluetooth and aptX HD support.